Thanksgiving is a day we mostly think of as a food holiday. But it's a food holiday where you sit around eating a variety of carb-heavy foods and a turkey that is hopefully not too dry. Below you'll find a list of restaurants -- from Sizzler to Buca di Beppo -- that are keeping the doors wide open for Thanksgiving. It's nice to have somewhere to go, but don't forget that it's not so nice for the employees of these businesses. If you're hitting up one of these spots, be sure to be extra nice to the staff. Call ahead to make sure your local restaurant is open because select Sizzler locations will be open on Thanksgiving. Do they serve Thanksgiving food? : Participating locations are going to be serving turkey and stuffing, green beans, mashed potatoes and gravy, baked sweet potato with maple butter, cranberry sauce, and a slice of pumpkin pie. The price is going to vary some by location, but the meal starts at $12.99. Select locations of Little Nicky's favorite restaurant will be open on Thanksgiving. Do they serve Thanksgiving food? : In advance of the holiday, Popeyes is selling a full 13-16-pound cajun-style turkey for $39.99. Otherwise, it's business as usual on Thanksgiving for the Popeyes locations that will be open. You'll have to get in touch with your local restaurant to find out if it's participating. Select locations will be open on Thanksgiving. You definitely want to call ahead to confirm, but there's a chance your neighborhood bar and grill will be slinging apps today. Do they serve Thanksgiving food? : There will no special menu at Applebee's. Though, they definitely still have the $2 Dilly Dilly promotion going right now. All three chains (which are run by the same company, Ovation Brands), will be open from 11am-6pm across at all locations. Do they serve Thanksgiving food? : In addition to selling whole pecan and pumpkin pies for around $10, all three locations will feature a holiday menu with turkey, ham, mashed potatoes, corn, and pie, among loads of other food on the buffet. It's the first thing you'll notice on the restaurant's website. It's a big ol' sign that says "We are open Thanksgiving day." Do they serve Thanksgiving food? : Of course. 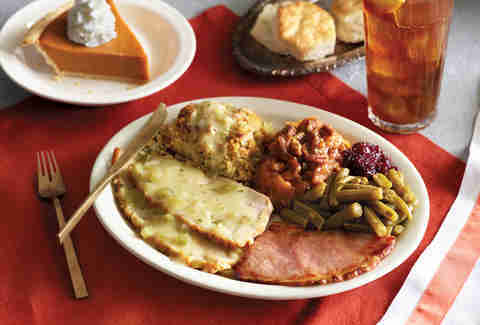 It doesn't even have to be Thanksgiving to have a Thanksgiving feast at Cracker Barrel. Naturally, you can also do it on the actual T-Day. The chain plans on serving more than 650,000 pounds of turkey on Thursday. You're probably familiar with Waffle House's hours. It's open 24 hours a day, 365 days per year. So, it's closed on Thanksgiving. That's not true. Waffle House is definitely open. Do they serve Thanksgiving food? : Waffle House does a lot of things, like always being open and providing the basis for the Waffle House Index. One thing it does not do, however, is serve turkey on Thanksgiving. All Mimi's Cafe locations will be open on Thanksgiving. Brunch will be served as early as 7am if you're looking to get out of the house really early in the morning. Do they serve Thanksgiving food? : Starting at 11am, you can land what they're calling a traditional Thanksgiving, even though it starts with soup. 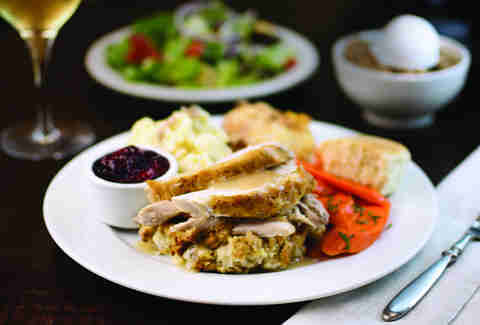 After that, you get an entrée with roasted turkey and sides like buttered cornbread stuffing and green bean casserole. Select locations will be open on turkey day. You'll have to contact the one closest to you to find out if it's serving on the holiday. Do they serve Thanksgiving food? : After a fashion. Two new menu additions might satisfy your desire for Thanksgiving fare. There's an autumn squash soup and a turkey cranberry sandwich made with Butterball smoked turkey, cranberry compote, granny smith apples, gorgonzola cheese, mayo, and spring mix. The family-style Italian restaurant has all locations opening at 11am in the 25 states it serves. Do they serve Thanksgiving food? : Oh, yes, and it's not something weird like turkey penne. You're getting white meat turkey, gravy, mashed potatoes, spicy Italian sausage stuffing, green beans, cranberry sauce, and pumpkin pie. 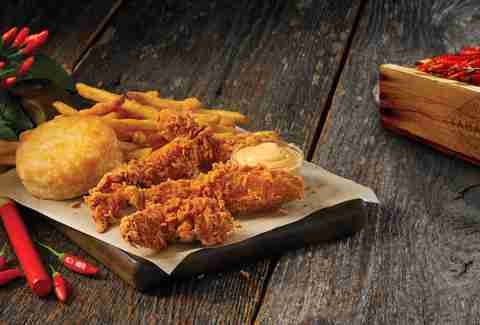 Get it family style at the restaurant for $22.99 per person. You can also get that dinner to go on November 21 and 22 for a group of three or five. You'll find 21 Del Frisco's locations open on Thanksgiving. That excludes locations in Ft. Lauderdale, Philadelphia, and Washington, DC. Do they serve Thanksgiving food? 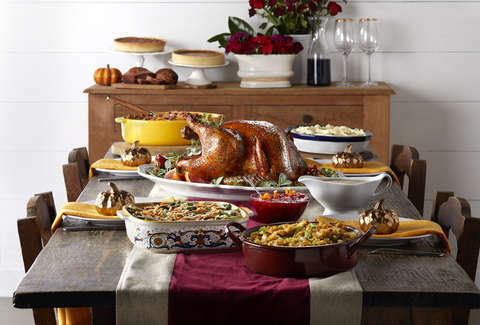 : It's dishing up a three-course turkey-day extravaganza. Expect roasted butternut squash bisque, herb and citrus butter roasted turkey breast, apple-sage sausage stuffing, sweet potato casserole, and pumpkin cheesecake. With locations in 16 states, every Ted's restaurant will be open and serving on Thanksgiving. Do they serve Thanksgiving food? : They're going all out. There's a dedicated Thanksgiving Day menu, and for about $29 you'll get roast turkey and gravy, garlic mashed potatoes, carrots, squash casserole, and cranberry sauce. All locations will be open from 11am-6pm local time on Thanksgiving. Do they serve Thanksgiving food? : Like fellow Ovation buffet restaurants, they'll be serving a holiday-themed menu. That includes sliced turkey, sliced ham, fried chicken, mashed potatoes and gravy, southern-style green beans, collard greens, as well as pumpkin and pecan pies. Whole pumpkin and pecan pies are also available to purchase for $7.99, except in Pace, Florida where the pies are $8.99. Not all locations will be open, but a representative confirmed some locations will have limited hours on Thanksgiving and Black Friday. Since not all stores welcoming guests, call ahead before pinning your T-Day plans on the taco shop. Do they serve Thanksgiving food? : Nope, turkey isn't on the menu at Taco Cabana. 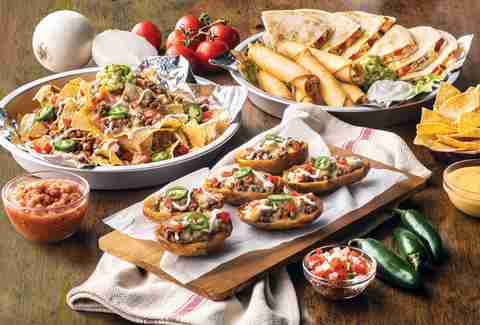 However, it did just launch a new line of limited-time-only food that's seasonally appropriate like tortilla soup and potato skins. Sticking with the timing on buffet restaurants, all Furr's locations will be open from 11am-6pm local time on Thanksgiving. Do they serve Thanksgiving food? : You bet. The buffet menu includes carved turkey breast, carved ham, glazed meatloaf with Creole sauce, popcorn shrimp, cornbread sage dressed, candied sweet potatoes, cranberry-orange relish, and sweet carrot casserole. You can also get a whole pie to go for just $9.29. Select locations will be open the kitchen for Thanksgiving. Do they serve Thanksgiving food? 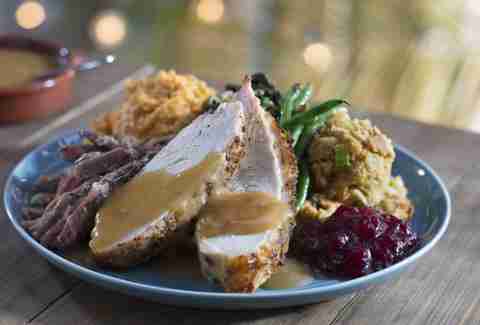 : While the normal menu will be available all day, a one-day-only Thanksgiving dinner will be available as well. It features jerk turkey and pork with a range of sides that includes callaloo, green beans, cornbread stuffing, and cranberry-pineapple chutney starting at $19.99 per person. There's also pumpkin praline pie available. The steakhouses will be working normal business hours on the day o' turkey. Do they serve Thanksgiving food? 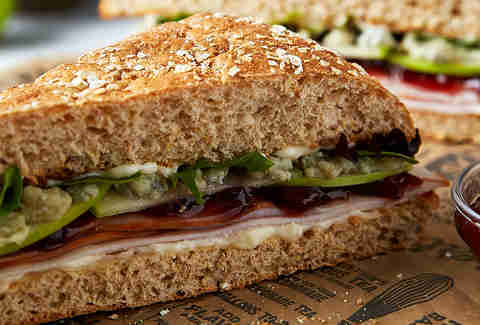 : Bad news for cows, the restaurants are slinging their usual menu on a day meant for turkey grub. The hours will vary by location, but Fleming's restaurants will be open on Thanksgiving. Do they serve Thanksgiving food? : There will be a three-course meal available. Among other things, the dinner includes fresh bread with pumpkin butter, lobster bisque, turkey breast, stuffing, green beans, mashed potatoes, and apple crisp or pumpkin cheesecake. The homey chain is welcoming guests at its locations across the country. Do they serve Thanksgiving food? : They sure do. You can dine-in or order a Thanksgiving feast to-go. The $15 dine-in deal includes a main course, three sides, a slice of pie, and an endless stack of bread. Turkey and dressing are available, or you can kick tradition to the curb for hickory-smoked ham or country-fried steak. There's also an option for kids that costs $7. The steakhouse with the memorably confusing name will be open on Thanksgiving. Do they serve Thanksgiving food? : The usual dinner menu will be on, but there will also be the option of a veritable Thanksgiving feast. The meal costs $39.95, and you'll get a starter (salad or gumbo), turkey entrée, side, and dessert. The chain known for its elaborate buffet is down to hang out with your family on Thanksgiving. Do they serve Thanksgiving food? : You better believe it. There's a $17 dine-in special buffet full of turkey, ribs, cornbread stuffing, mashed potatoes, and other delicious Thanksgiving sides you crave.